SAN JOSE, Calif. - June 25, 2007 - Cisco® today announced it has completed the acquisition of privately held IronPort Systems, Inc., the leading provider of e-mail and web security products that provides protection to businesses of all sizes - from small organizations to Fortune 1,000 firms - from spam, spyware, phishing, and other Internet security threats. The acquisition, announced January 4, 2007, for $830 million in cash and stock, marks a significant step in Cisco's evolution as a leader in security and defines the future for information technology security. IronPort's products and technology enable Cisco to extend its Self-Defending Network strategy to now include Wide Traffic Inspection capabilities, ensuring a new approach that combines the depth of network-level security with the breadth of capabilities for inspecting e-mail, web and Instant Messaging traffic. A core element that powers IronPort is SenderBase, the world's first and largest e-mail and Web traffic monitoring service. SenderBase is a unique database that collects information from more than 100,000 Internet service providers, universities and corporations around the world. It measures more than 110 parameters for any active e-mail and Web server on the Internet, helping to determine the trustworthiness of the source of any e-mail or Web traffic. This massive database receives more than 5 billion queries per day, and because of its size and scope, it can provide an extremely accurate, global view of the behavior of e-mail and web servers across the Internet. According to Richard Palmer, senior vice president and general manager of Cisco's Security Technology Group, this evolution of the Self-Defending Network strategy will enable Cisco to provide customers with integrated end-to-end IT security never before offered from a single company. "The acquisition of IronPort provides Cisco with a proven business that is already respected as a leader in the messaging and Web security space," Palmer said. "The addition of IronPort represents the next chapter in the evolution of the Self-Defending Network, and it accelerates Cisco's growth opportunities. Most important, it dramatically extends the solutions we can provide our customers as security threats and demands evolve." Cisco's vision for a Self-Defending Network is to incorporate protection into the entire network infrastructure (within its core routing and switching portfolio) and extend that protection from the network (at the packet level) to applications and content. The addition of IronPort's content security technology allows Cisco to provide Wide Traffic Inspection that integrates network and content analysis to stop the most sophisticated threats and protect all major application protocols, endpoints, and the network itself. "Cisco's acquisition of IronPort underscores the convergence between secure content management and threat management needed to address today's complex threat environment," said Brian Burke, research manager for IDC's Security Products service. "IT departments have moved away from a focus on a single type of protection, such as antivirus, toward a broader focus on threats designed to get past point-solution security and target multiple vulnerabilities in clients and corporate networks." "IronPort is known for building industry-leading e-mail appliances, but when we introduced our Web security appliance last year, we realized the power of products working better together," said Scott Weiss, former CEO of IronPort and now general manager of the IronPort Business Unit reporting to Palmer. "Our e-mail products are better because we have a web product and vice versa. 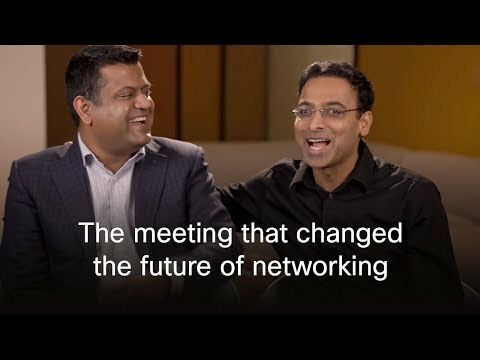 Merging this technology into Cisco's Self-Defending Network portfolio creates even more powerful solutions for the marketplace."